← Basement Apartments Legalized in Mississauga………Brampton Soon to Follow. Strong demand and price appreciation in the freehold market continued to define the market across the GTA Buyers unable to afford homes or win bidding wars in Toronto—or wanting more space—drove demand in Brampton, Mississauga, Oakville and Durham. The average residential sale price in Canada is expected to increase by two to three per cent in 2015. Higher inventory was a significant trend characterizing much of the Canadian housing market in 2014. Inventory is expected to balance within the next couple years as new construction winds down. With the decline in the energy and raw materials sector it will be Ontario that leads the nation’s economy in the coming months. That’s the finding of a report by TD Bank which predicts growth in Ontario of 2.5 per cent with BC at 2.4 per cent and Alberta on 2.3 per cent. The bank says that interest rates are likely to stay low it says as a slowdown will curb inflation concerns due to collapse of oil prices, which is mainly denting the Alberta economy. In the past, modest, but under-valued, homes sold for hundreds of thousands of dollars above asking price in some areas of the city and the effect was that buyers entered the market with no certainty about what kind of home they could afford. In turn, sellers came to the conclusion that their homes were all of sudden worth more than they actually were. More realistic pricing in 2014 has inspired confidence among buyers—a trend that is expected to continue in 2015. Toronto should remain a seller’s market, although the condominium market is projected to be more balanced as developers release inventory and Investors seek to unload their units, many first time buyers should continue to look to the condominium market, attracted by affordable options in convenient locations. Downsizers may not play as much of a role in this market as had once been expected, as many buyers in this group have been deterred by unpredictable assessment funds and condo fees. The recent municipal election has brought a feeling of stability to the city, which generally proves well for local real estate. With political stability and the city set to be showcased by the 2015 Pan AM Games, pent-up demand may result in strong price appreciation in the latter portion of 2015. The luxury market will continue to display strength, as wealthy buyers are comfortable absorbing any modest price fluctuations. However, as inventory for freehold homes continues to be at historic lows, the city is projected to be poised to have another strong year of price appreciation. downtown Mississauga are attracting younger buyers to those areas. In Mississauga’s brisk housing market, well-priced homes sold within days in 2014, although properties over $1 million typically had listing periods of between one and two months. A seller’s market is expected to continue through to 2015 but soften modestly, especially in the luxury segment where it is moving closer to a balanced market. The market for residential real estate in Oakville, an affluent community situated on the shores of Lake Ontario between Toronto and Hamilton, showed strong growth in 2014. The average residential sale price rose 12 per cent over the previous year, to approximately $800,000 in 2014 from $715,000 in 2013. With less inventory on the market than in the previous year, days on the market fell from an average of 32 in 2013 to 27. Oakville’s residential real estate market is expected to remain robust in 2015, with the average sale price increasing by an estimated five per cent. While Oakville remained a seller’s market in 2014, it began shifting to a more balanced market in the late summer and fall. Appropriately priced homes moved quickly and with competing offers, while homes priced above their market value were slow to sell. First-time homebuyers play a very marginal role in driving this market, as most properties are comparably expensive. What would be considered a luxury home in many communities across Canada is typical in Oakville. Entire neighbourhoods comprise homes over 3,000 square feet outfitted with premium finishes like walk-in closets and chef’s kitchens—and price tags around $1 million. The luxury market is driven by buyers who value the quality of the area’s schools, amenities and lakefront. New Canadians from China are playing a growing role in the market as well, purchasing lakefront properties, some of which exceed $10 million. All signs point to continued strength in the Oakville market in 2015. While the number of listings is expected to remain consistent, a decrease in inventory is projected to result in an increase in the average residential sale price. New construction in the north end of Oakville and a soon-to-be-completed hospital is expected to play a role in driving demand. to calm to a degree in 2015 and an increase in the average residential sale price of between five and 10 per cent is anticipated. Brampton is home to many south Asian Canadians, and it is not uncommon for these buyers to prefer large homes to accommodate multi-generational and extended families. However, some seniors, who have come to Canada under family sponsorship, are using their savings as down payments and moving from apartments to condominiums, challenging the notion of what it means to be a first time homebuyer. Move-up buyers continued to drive the market in Brampton, with lending conditions favourable enough for buyers to hold on to two properties. 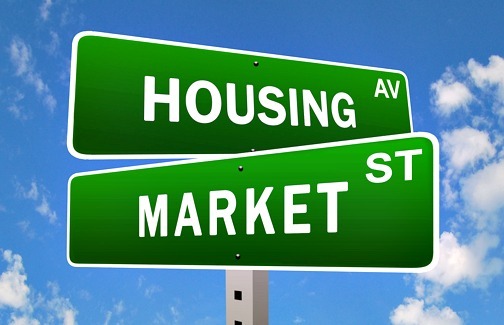 The coming year should move from a seller’s market to a more balanced market as inventory is projected to increase. Luxury sales are expected to remain robust in the coming year. Homes in this segments are typically set on one to two acre lots. Many prospective buyers in this market segment are entrepreneurs who have found success in the tool and die, automotive or trucking industries. The real estate market in Brampton could suffer if the municipal government were to implement a land transfer tax similar to Toronto. Conversely, any one of a number of factors, such as a new university or the opening of a major plant, could positively impact demand and lead to further price increases. Record low Interest rates, the main fuel to growth of Canadian real estate market over last few years, will likely stay the same in 2015 as elections are expected in fall of 2015 and keeping interest rates low is a tool for government to avoid any real estate meltdowns. Plus any increase in interest rates will curb inflation concerns due to collapse of oil prices too. Further lower inventory levels are not expected to change any soon as due to strict CMHC qualifying rules, lesser people are getting qualified to upgrade. So more people are expected to be improving/renovating their existing homes rather than upgrading in 2015. Lower inventory along with lower interest rates together are sufficient to carry the “heading north” trend of 2014 in 2015 too. If you can afford to enter the real estate market in 2015, don’t wait for summer season……as traditionally in summer, market gets to its peak. So in simple language, you are expected to be paying approx. 2% to 5% higher price then current market in summer of next year. Remember, with real estate, it is not just an investment in your future, it is about a home to build a family and memories for years to come. Please call me directly @ 416-738-7331 to book your no obligation consultation to help evaluate your situation and to get full guidance on the process. 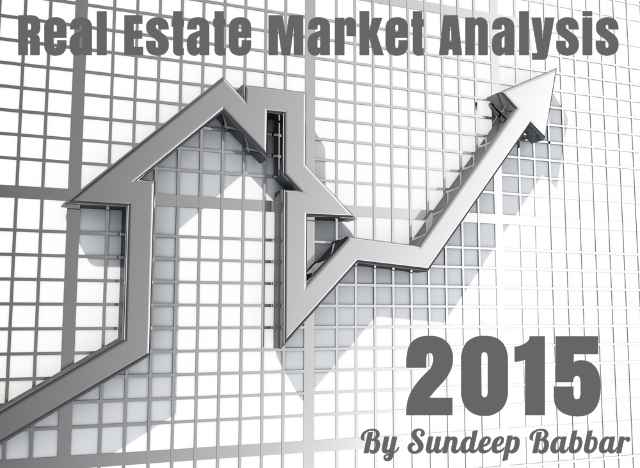 This entry was posted in Uncategorized and tagged 2015 real estate market outlook, brampton market outlook, canadian real estate market predictions, mississauga market outlook, oakville market outlook, toronto market outlook. Bookmark the permalink.